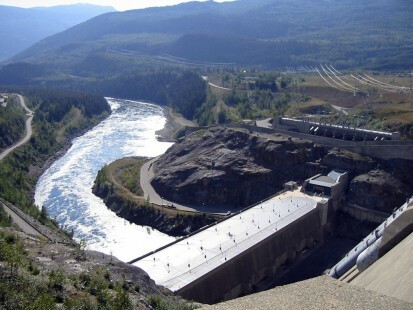 Many of British Columbia’s hydroelectric dams are located in the province’s most remote and rugged locations. Coupled with severe weather conditions, dam construction projects pose a unique set of challenging circumstances. The Revelstoke Dam was no exception. The concrete we supplied included a highly pervious, custom mix to allow for drainage, as well as 40% and 60% fly ash mixes to minimize shrinkage and heat on mass pours. All of our concrete exceeded CSA standards to meet the specifications set out by BC Hydro. Type of concrete F1 Exposure Class with 40-60% fly ash content. Custom concrete mix, highly pervious for drainage.